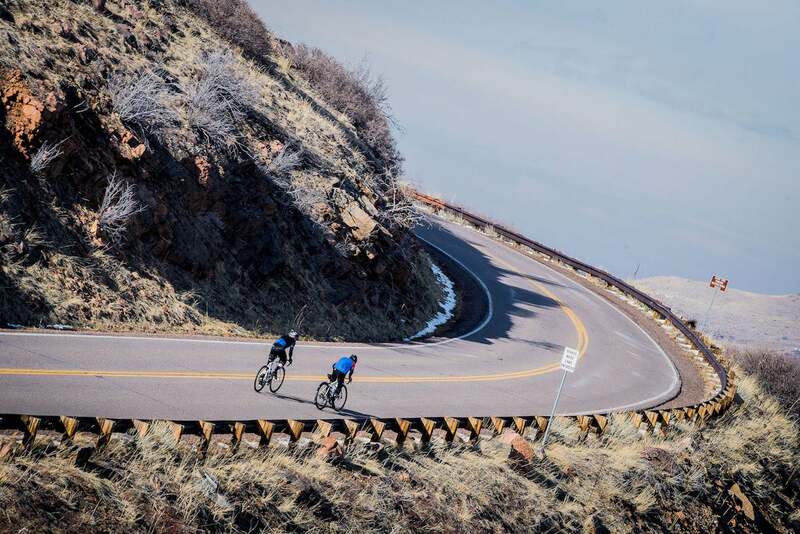 As our visit with Pactimo came to a close, there was still time for one more ride, and what better than a trip to Lookout Mountain, a classic go-to ride for any Denver-based cyclist that’s made frequent appearances at Colorado stage races. 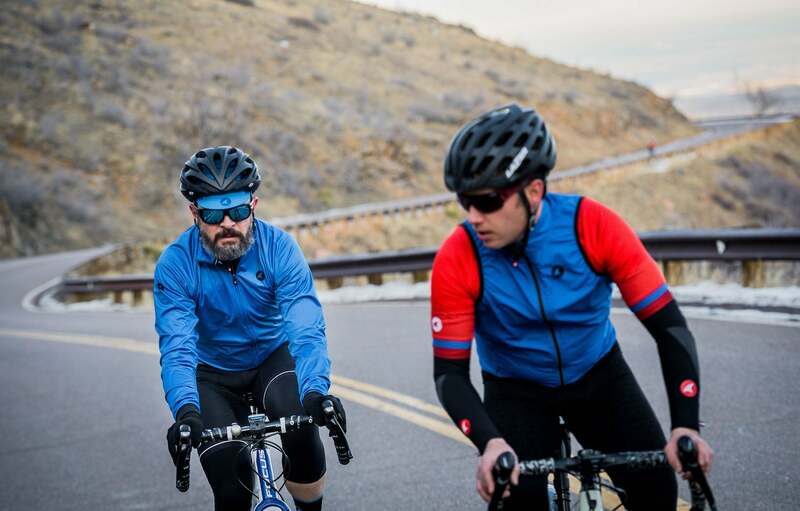 With Denver still clearly in view behind us, we rolled though Golden, Colorado, home to the Adolph Coors Company, and made our way to the foot of the climb, which was now clearly in view. 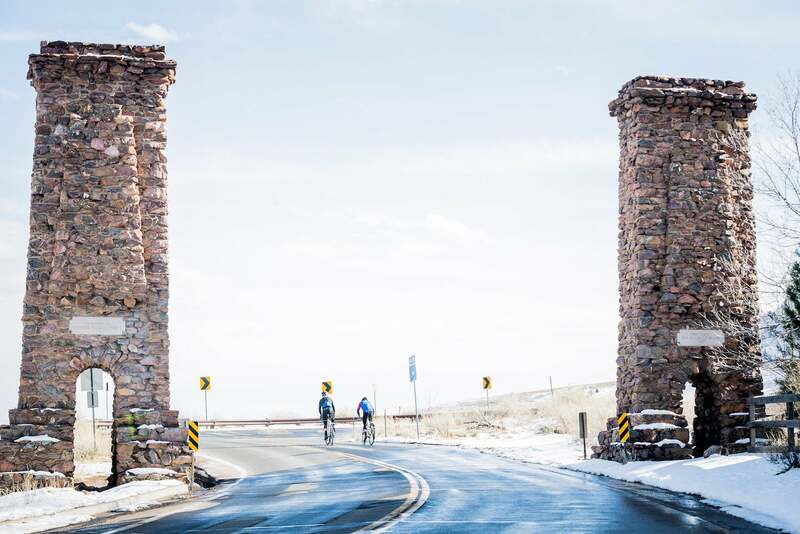 Leaving Golden, we immediately passed the two pillars that mark the official entry to the climb, and already the pitches increased significantly. 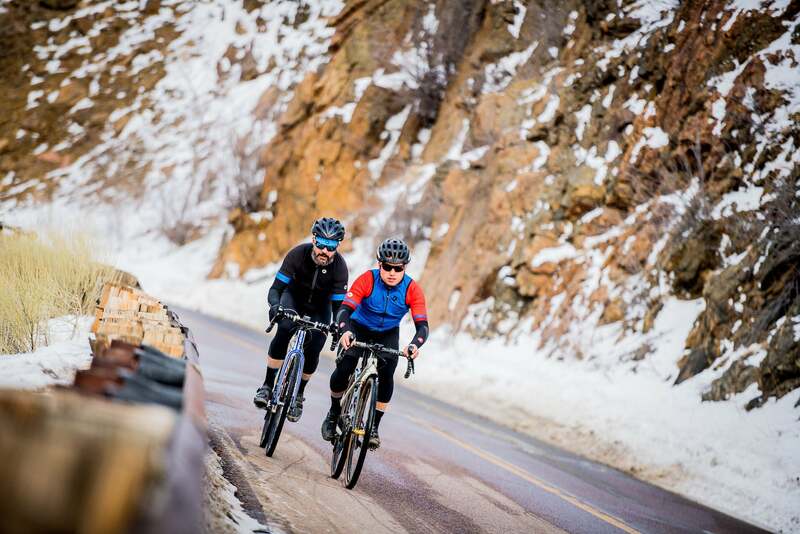 On this late afternoon David Newcomer, Pactimo’s customer service and operations manager, was eager to get out of the office early and join White as the warm sun offered some of the first hints that springtime was coming. And the two were in no mood to attack so early in the season. Instead, they simply enjoyed the climb on an unseasonably warm day. 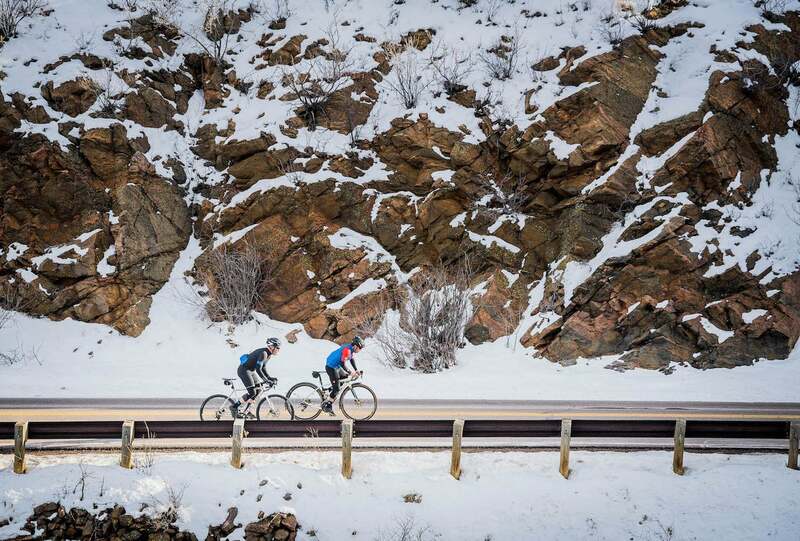 As the road wrapped around the mountain in and out of the sunlight, temperature drops were common. 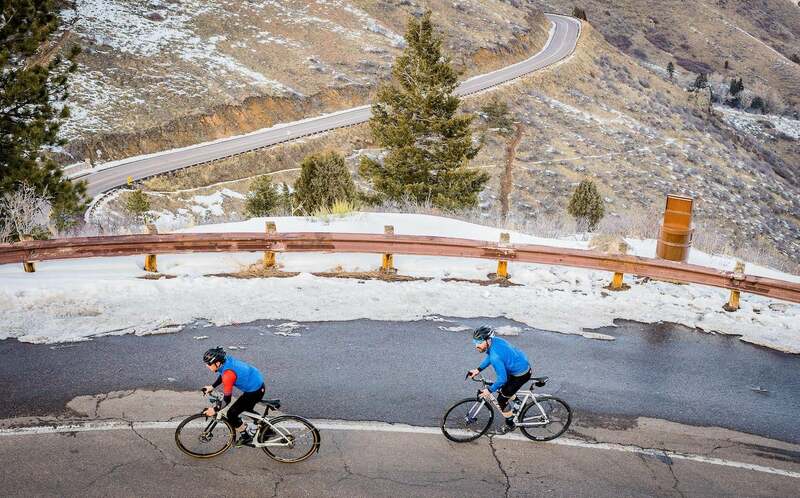 But they were easily controlled with Pactimo’s versatile line. 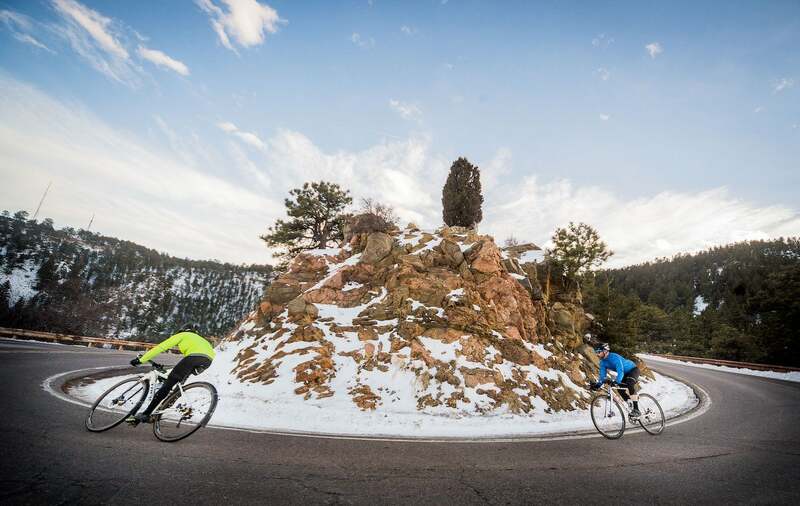 For much of the climb White combined Pactimo’s classic Summit jersey with the Divide packable wind vest—named for the nearby Continental Divide. 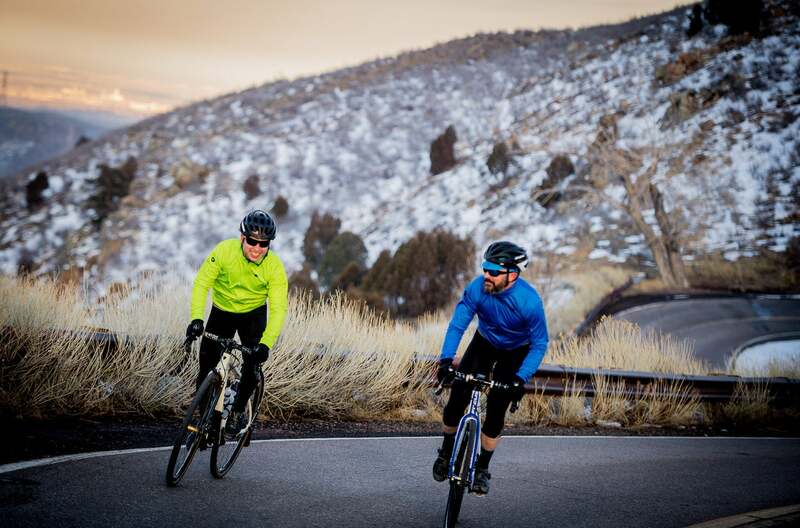 For Newcomer the Ascent wind jersey and arm warmers sufficed. One of the most flexible garments in the industry, the Ascent combines wind-cutting front panels that protect you from chilling winds, but the versatile jersey has also been designed to breathe exceptionally well in unison with the mesh back. 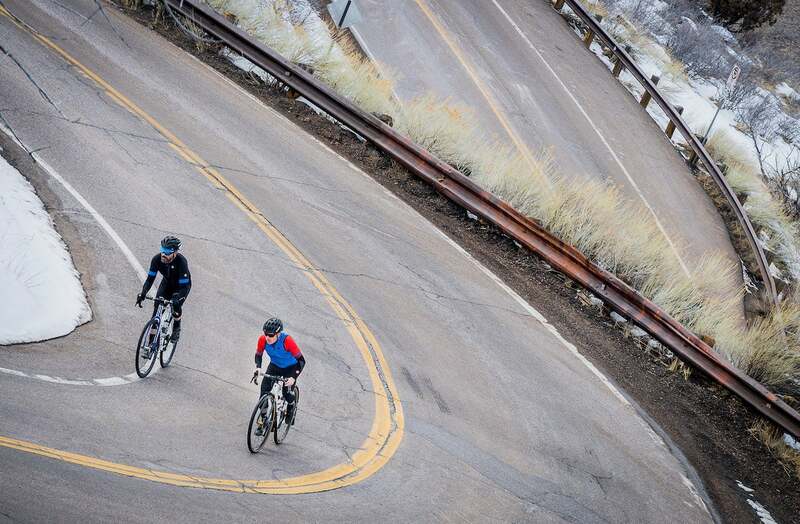 After several miles of climbing, the exposed road entered a welcomed wooded area as our riders neared the summit. On cresting the climb we started to see signs for the Buffalo Bill Cody’s Gravesite, an unlikely but interesting culmination point to this iconic climb. 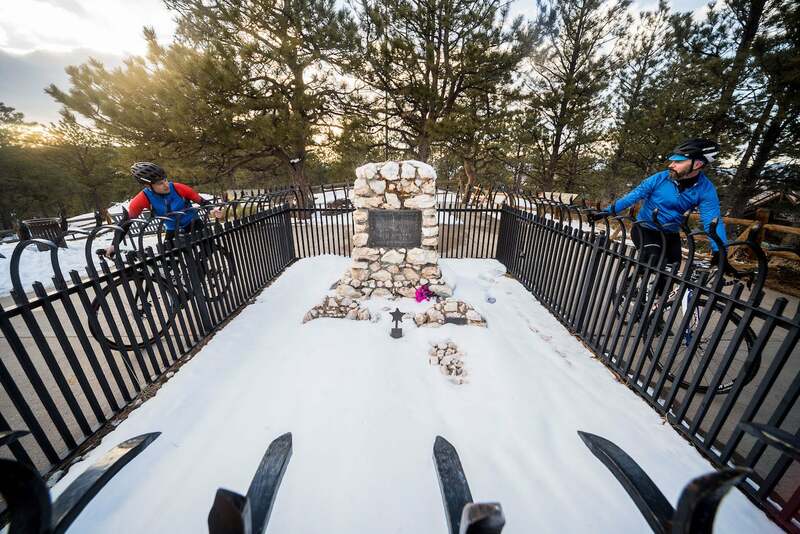 The legendary founder of the Buffalo Bill Wild West Show may have traveled the globe with his touring company, but he was in love with this corner of Colorado and chose it as his final resting place. Before heading back down the mountain, Newcomer opted for his Flagstaff jacket. With the fading afternoon light, temperatures were dropping quickly and the Flagstaff offered the perfect compromise of wind resistance and warmth. 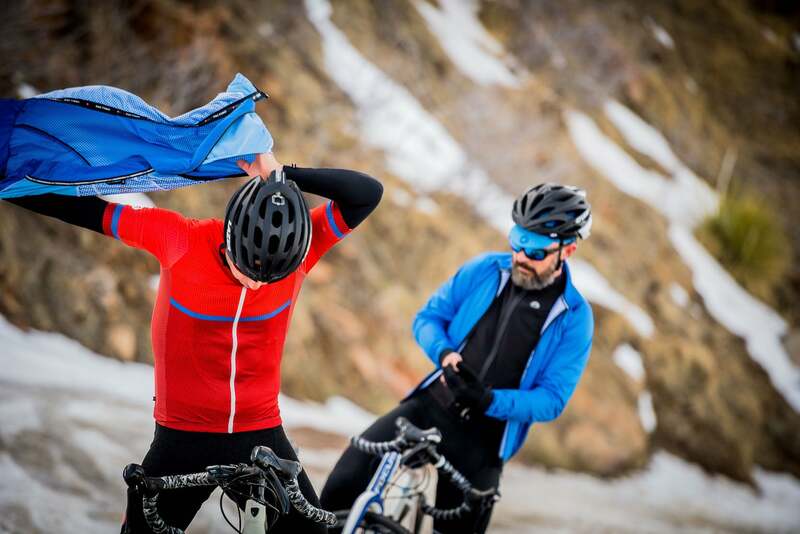 And while White initially attacked the descent with simply his wind vest, he soon stopped to grab his Flagstaff as well, before continuing down on their return to Denver.